According to major news sources, Brad Pitt’s alleged use of cannabis and alcohol has been the main factor in causing the breakdown of his relationship with Angelina Jolie. At FM Family Law we speak to and advise many mothers, father, wives, husbands and partners who say that the use of cannabis and alcohol has prevented their partner from engaging in their relationship and/or helping with the care of their children. All too often marriages and relationships are detrimentally affected by the other person’s performance (or lack thereof) in that relationship and it is fair to say that the use of illegal drugs and alcohol often has a part to play. In the case of Brad and Angelina, California law allows for “no-fault” divorces, meaning a spouse does not have to sue his or her partner for any specific grievance, such as adultery or abandonment. 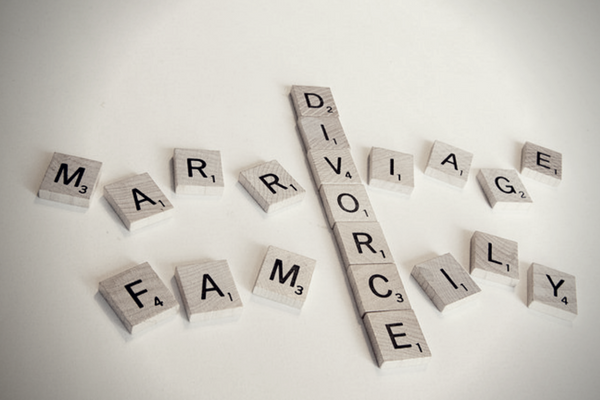 In England And Wales, you can only petition for a “no-fault” divorce if you and your spouse have been separated for at least 2 years immediately preceding the divorce and your spouse consents to the divorce. Or you have been separated for 5 years, which does not require your spouse’s consent. However, you are also able to base your divorce upon the ‘unreasonable behaviour’ of your spouse by detailing which aspects of their behaviour you believe have led to the ‘irretrievable breakdown’ of the marriage. This is a fault based divorce (like adultery) which allows you to comment on the negative behaviour of your spouse. This ‘unreasonable behaviour’ may well be caused by the use of cannabis and/or alcohol, which you are permitted to refer to in the divorce petition. As in the USA, the use of cannabis and alcohol can also be a factor when the family court is trying to decide the future care arrangements of children, i.e. with whom the children will live and whether, when and how often those children will spend time with the other parent. Angelina Jolie is reportedly seeking ‘custody’ of the couple’s six children. We do not use the term ‘child custody’ in England and Wales. The family court prefers to use less contentious language such as, with whom the children will live, spend time with etc. Whether it is dealing with divorce or children cases, the family court seeks to analyse the effect that the parent’s use of alcohol and/or cannabis will have or is having or has had upon either the marriage or the children (depending on the case before it). Some states in the USA have legalised the use of cannabis and medical cannabis is legal in California presently. This is not the case in England and Wales and from time to time the family court may order that a parent who denies taking cannabis and is facing allegations that drug taking has detrimentally affected their behaviour towards the family may be ordered by the court to take a drugs test before the case can progress any further. The same is true of alcohol and although the use of cannabis is not legal, the two are treated in a similar manner by the family court. It must be made clear that the use of cannabis and alcohol are not enough for one to be prevented from spending time with or living with their children unless the court is satisfied that such use has contributed to a person’s abuse or neglect of their children or partner. As for Brangelina, we will watch with interest as Angelina takes the reins in what must be the highest of high profile divorces. If you need and guidance or advice on matters related to divorce or children, please contact our teams in Norwich or Cambridge.